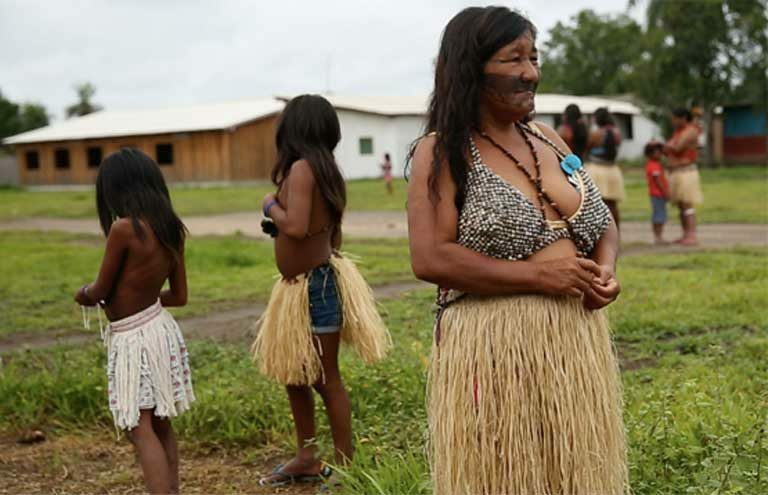 Brazil dynamited an indigenous sacred site, the equivalent of Christian “Heaven,” to make way for Teles Pires dam; desecration is devastating to Munduruku culture. 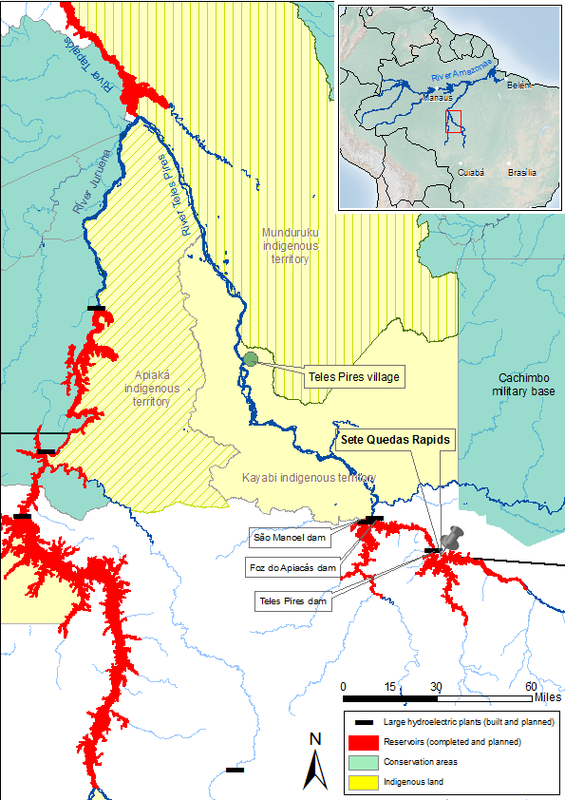 Four dams are being built on the Teles Pires River — a major tributary of the Tapajós River — to provide Brazil with hydropower, and to possibly be a first step toward constructing an industrial waterway to transport soy and other commodities from Mato Grosso state, in the interior, to the Atlantic coast. Those dams are being built largely without consultation with impacted indigenous people, as required by the International Labor Organization’s Convention 169, an agreement which Brazil signed. A sacred rapid, known as Sete Quedas, the Munduruku “Heaven”, was dynamited in 2013 to build the Teles Pires dam. A cache of sacred artefacts was also seized by the dam construction consortium and the Brazilian state. The Indians see both events as callous attacks on their sacred sites, and say that these desecrations will result in the destruction of the Munduruku as a people — 13,000 Munduruku Indians live in 112 villages, mainly along the upper reaches of the Tapajós River and its tributaries in the heart of the Amazon. Those struggling to shape the Basin’s fate hold conflicting opinions, but because the Tapajós is an isolated region, few of these views get aired in the media. Journalist Sue Branford and social scientist Mauricio Torres travelled there recently for Mongabay, and over coming weeks hope to shed some light on the heated debate that will shape the future of the Amazon. “It is a time of death. The Munduruku will start dying. They will have accidents. Even simple accidents will lead to death. Lightning will strike and kill an Indian. A branch will fall from a tree and kill an Indian. It’s not chance. It’s all because the government interfered with a sacred site,” says Valmira Krixi Biwūn with authority. Valmira Krixi Munduruku, as she was baptized, is an indigenous Munduruku woman warrior living in the village of Teles Pires beside the river of the same name on the border between the Brazilian states of Mato Grosso and Pará. A leader and a sage, she speaks with great confidence about a variety of subjects ranging from the old stories of her people, to the plant-based concoctions in which young girls must bathe in order to transform into warriors. The sacred site she speaks about is a stretch of rapids known as Sete Quedas located on the Teles Pires River. 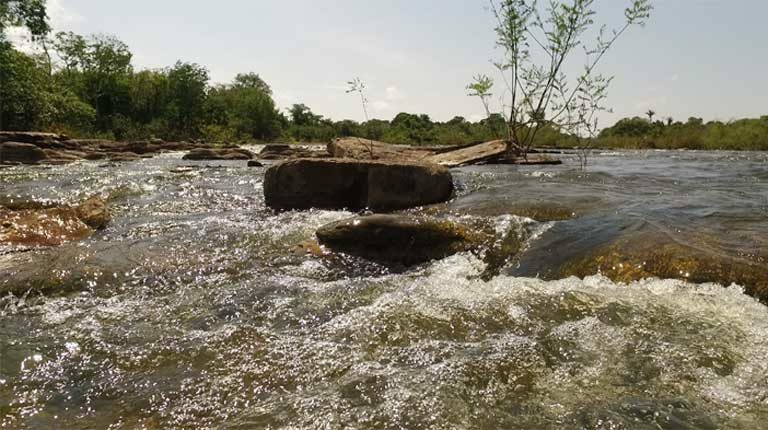 In 2013, the consortium responsible for the construction of a large hydroelectric power station obtained judicial authorization to dynamite the rapids to make way for the Teles Pires dam. In 2013 the companies involved blew up Sete Quedas, and in so doing also destroyed — in the cosmology of the region’s indigenous people — the equivalent of the Christian “Heaven”, the sacred sanctuary inhabited by spirits after death. Known in as Paribixexe, Sete Quedas is a sacred site for all the Munduruku. The destruction of the sacred rapids was a lethal blow for the Indians: “The dynamiting of the sacred site is the end of religion and the end of culture. It is the end of the Munduruku people. When they dynamited the waterfall, they dynamited the Mother of the Fish and the Mother of the Animals we hunt. So these fish and these animals will die. All that we are involved with will die. 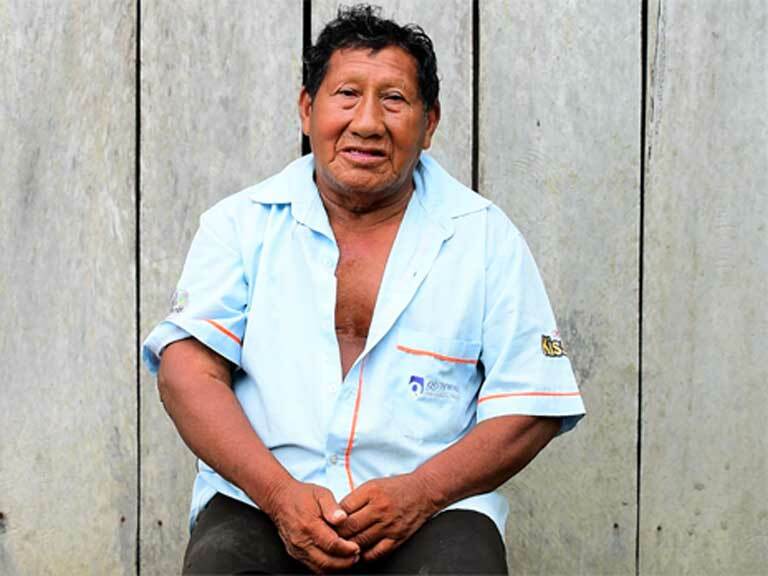 So this is the end of the Munduruku”, says a mournful indigenous elder, Eurico Krixi Munduruku. The message Valmira Krixi delivers is equally chilling: “We will come to an end, and our spirits too.” It is double annihilation, in life and in death. 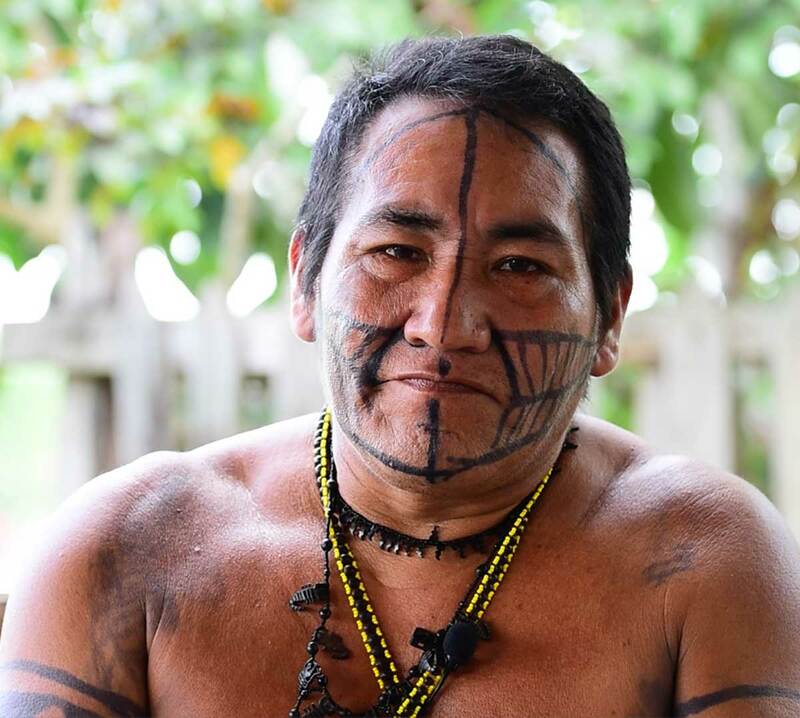 In all, today, more than 13,000 Munduruku Indians live in 112 villages, mainly along the upper reaches of the Tapajós River and its tributaries, including the Teles Pires River. This indigenous group once occupied and completely dominated such an extensive Amazonian region that “in colonial Brazil the whole of the Tapajós River Basin was known by the Europeans as Mundurukânia”, explains Bruna Rocha, a lecturer in archaeology at the Federal University of the West of Pará. The sudden appearance of rubber-tapping across Amazonia during the second half of the 19th century shattered the power of “Mundurukânia,” and deprived the Munduruku of most of their territory. “They just kept fragments in the lower Tapajós and larger areas in the upper reaches of the river, but even so it was only a fraction of what they occupied in the past”, says Rocha. Now even these fragments are being seriously impacted by the hydroelectric power stations being built around them. 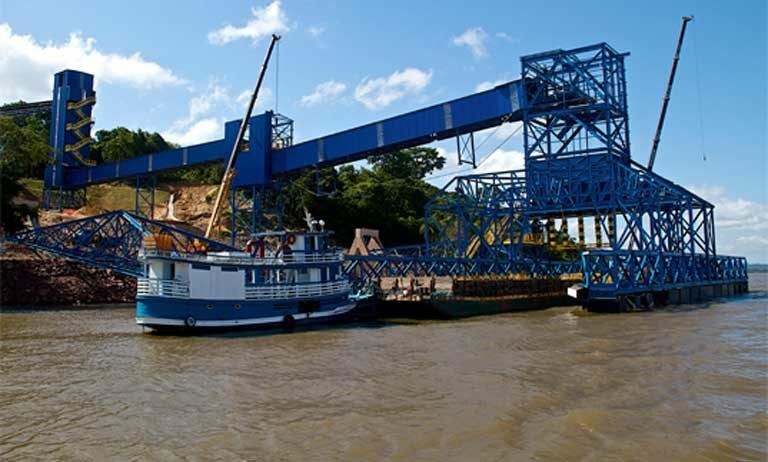 Of the more than 40 dams proposed in the Tapajós Basin, four are already under construction or completed on the Teles Pires River. These dams are all key to a proposed industrial waterway that would transport soy from Mato Grosso state, north along the Teles Pires and Tapajós rivers, then east along the Amazon to the coast for export. The 90 families in Teles Pires village, which we visited, love talking about the past, a time, they say, when they could roam at will through their immense territory to hunt and harvest from the forest. In part, these nostalgic recollections are mythical in that, for at least two centuries and probably longer, the people have lived in fixed communities. But they continue to collect many products from the forest — seeds, tree bark, fibers, timber, fruit and more; using the materials to build their houses, to feed themselves, to make spears for hunting, to concoct herbal remedies, and so on. 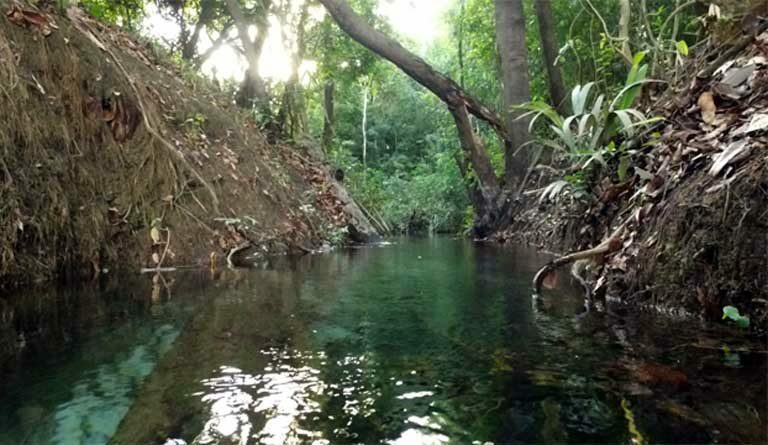 Their territory ­— the Indigenous Territory of Kayabi, which they share, not always happily, with the Apiaká and Kayabi people — was created in 2004. Bizarrely, the sacred site of Sete Quedas lay just outside its legal limits, an oversight that was to have tragic consequences for the Indians. 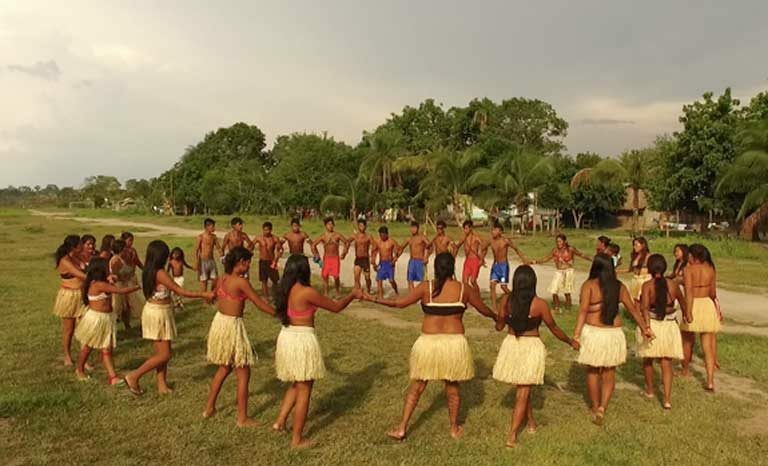 Over the centuries, the Munduruku have adapted well to changes in the world around them, changes that intensified after they made contact with white society in the 18th century. On some occasions, the people readily incorporated new technological and social elements into their culture, seizing on their advantages. The British Museum has a “very traditional” Munduruku waistband, probably created in the late 19th century, which utilizes cotton fabric imported from Europe. The Indians clearly realized that cotton fabric was far more resilient than the textiles they made from forest products, and they happily incorporated the cotton into the decorative garment. Today that custom continues. Almost all young people have mobile phones, and appreciate their usefulness. But at times the Munduruku have found, just as many of us do in our city lives, that modern technology can go wrong, with frustrating results. The Munduruku have, for example, installed an artesian well in Teles Pires village and now have running water in their houses. That advance makes life easier, except when the system breaks down, which is not infrequent. During the four days of our visit, for instance, there was no water, as the pump had quit working. In similar fashion, their religion has also changed, at least superficially. Franciscan friars have had a mission (Missão Cururu) in the heart of Munduruku territory for over a century, and Catholicism has left its mark. The Munduruku say, for instance, that the creator of the world, the warrior Karosakaybu, fashioned everyone and everything “in his own image”, a direct quote from the Bible. Even so, the Indians have a strong ethnic identity, which they fiercely protect. When we asked to film them, they said yes, but many insisted on speaking their own language on camera, even though they often could speak Portuguese far better than our translator. Moreover, their cosmology is rock-solid; every Indian to whom we spoke shared Krixi Biwūn’s belief in the hereafter and the paramount importance of the sacred sites in guaranteeing their life after death. This faith forms the foundation of their cosmology, and is essential to their existence. It is this fundamental belief that has now been blasted — making adaptation almost impossible. National governments are obliged to directly consult with indigenous groups before launching any project that will affect their wellbeing, according to The International Labor Organization’s Convention 169. Brazil is a signatory of this agreement, so how is it possible that indigenous sacred sites could be demolished on the Teles Pires River to make way for Amazon dams? The answer is clear-cut, according to Brent Millikan, Amazon Program Director for International Rivers. After the 2011 approval for the Belo Monte hydroelectric dam on the Xingu River — a major Amazon tributary —, the government’s next hydroelectric target in Amazonia was on the Teles Pires River. “Four dams are being simultaneously built [there]. Two are close to indigenous people — the Teles Pires and Sāo Manoel. 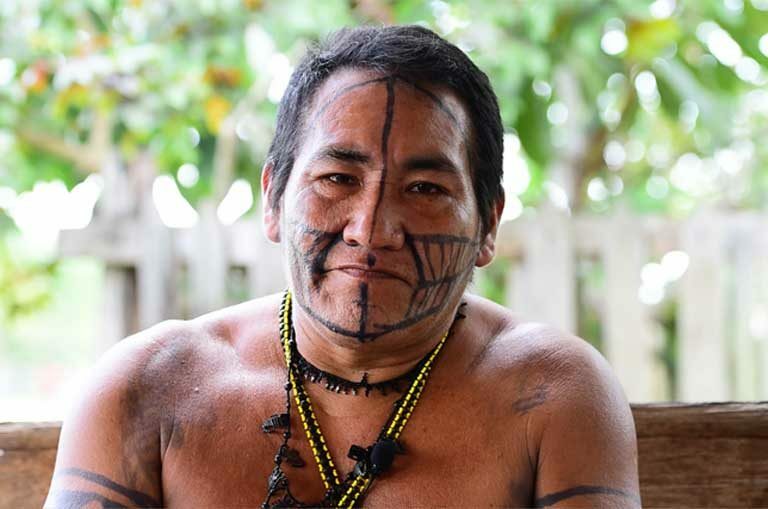 The São Manoel is 300 meters from the federally demarcated border of an indigenous reserve where the Munduruku, Kayabi and Apiaká live,” Millikan told Mongabay. The sacred site of Sete Quedas, left outside the boundary of the indigenous territory, lay in the way of the São Manoel dam. Even so, the government carried out a form of consultation with the indigenous population and other local inhabitants. On 6 October 2010, it announced in the official gazette that it had received the environmental impact study for the Teles Pires dam from the environmental agency, Ibama, and that the public had 45 days in which to request an audiência pública (public hearing) in which to raise questions about the dam. A hearing was, in fact, held on 23 November 2010 in the town of Jacareacanga. Although the event was organised in a very formal way, alien to indigenous culture, contributions from 24 people, almost all indigenous, were permitted. According to the Federal Public Ministry (MPF), an independent body of federal prosecutors within the Brazilian state, every speaker expressed opposition to the dam. Even so, the project went ahead. Over time, the Munduruku became increasingly reluctant to take part in these consultations, saying that their views were simply ignored. Although the Munduruku were always opposed to the dams, they were ill prepared for the scale of the damage they have suffered. This is, at best, a half-truth. 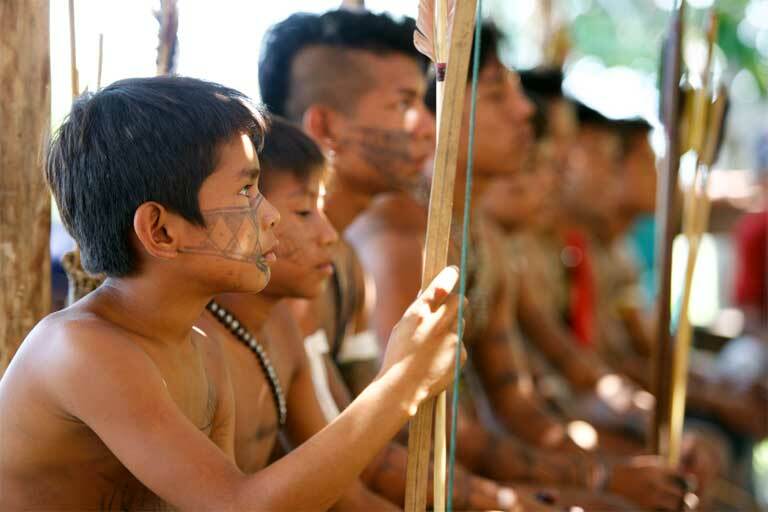 Although indigenous land belongs to the Brazilian state, the indigenous people have the right to the “exclusive” and “perpetual” use of this land, in accordance with the Brazilian Constitution. The Brazilian government repeatedly claimed that its public hearings amounted to the “full, informed and prior” consultation required by the ILO, but the MPF challenged this assertion. It sued the Brazilian government, and the federal courts on several occasions stopped work on the dam. However, unfortunately for the Munduruku and other local indigenous groups, each time the MPF won in a lower court, the powerful interests of the energy sector — both within government and outside it — had the decision overturned in a higher court. This was largely possible because the Workers’ Party government (which ruled from 2003-16) had revived a legal instrument known as Suspensão de Segurança (Suspension of Security), which was instituted and widely used by Brazil’s military dictatorship (1964-85). Suspension of Security allows any judicial decision, even when based on sound legal principles, to be reversed in a higher court without further legal argument, using a trump card that simply invokes “national security”, “public order” or the “national economy”. Instead of democratically engaging the Munduruku, and debating the various options for the future of the Tapajós region, federal authorities imposed the dams, without discussion. The Teles Pires dam was built in record time — 41 months — and is already operating. According to a recent press interview, the São Manoel dam, due to come on stream in May 2018, is also on course to be completed ahead of schedule. Almost every week now, local indigenous villages feel another impact from the large construction projects. The Indians say that the building of the São Manoel dam made the river dirty, more silted and turbid. Although their claims may be exaggerated, there seems little doubt that aquatic life will suffer serious, long-term harm. This is serious for a people whose diet largely consists of fish. In November, crisis came in the form of an oil spill on the river, possibly originating at the dam construction site, an event that deprived some villages of drinking water. Francisco Pugliese, an archaeologist from the University of São Paulo, told Mongabay that he had been horrified by the behavior of the National Institute of Historic and Artistic Heritage (Iphan), the body in charge of the protection of archaeological sites. 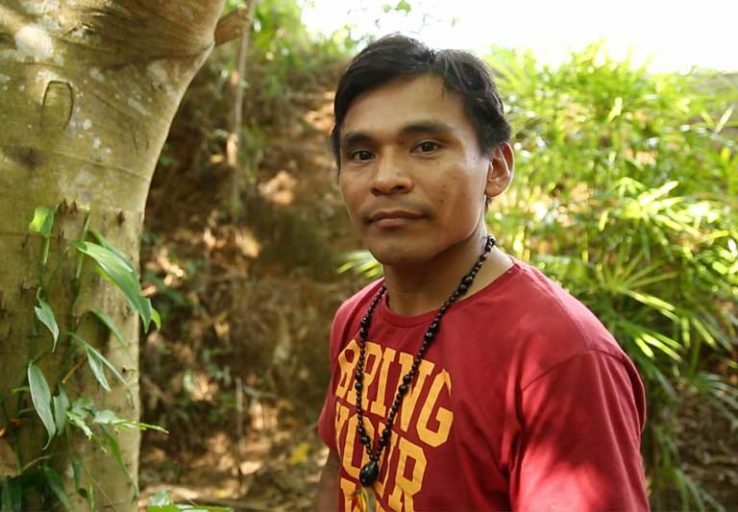 He said that the institute had broken the law by exempting the hydroelectric company from the obligation to work with the Munduruku to determine the best way of protecting their sacred site. Worse, Iphan had decided that, as the urns and other material were discovered outside the boundary of the indigenous reserve, they were the property of the government and should be sent to a museum. “Imagine what it’s like for a traditional people to see its ancestors taken to a place with which it has no emotional link or even knows”, he said. “It’s within this perverse logic of dispossession that archaeological research takes place, in the context of the implementation of the dam. It exacerbates the process of expropriation and the destruction of the cultural references of the people and it reinforces the process of genocide of the original inhabitants of the Amazon basin”, he concluded. Mongabay requested an interview with Iphan but was not granted one. Is there a way forward for the Munduruku people, a way that the perceived blasphemy done by the consortium and federal government can be reversed? Everyone we talked to in the village is certain that, as long as the urns and other artefacts rest outside the sacred site, one catastrophe will follow another; even small wounds will cause death. This seems unlikely to happen. The urns are currently held by the Teles Pires company in the town of Alta Floresta, waiting to be taken to a museum at the request of Iphan. Mongabay asked to see the artefacts but our request was turned down. Even if the holy relics were eventually returned to a sacred place in one of the rapids along the Teles Pires River, that respite is likely to be short-lived. The next step in the opening up of the region to agribusiness and mining is to turn the Teles Pires into an industrial waterway, transforming it with dams, reservoirs, canals and locks. This will mean the destruction of all the river’s rapids, leaving no sacred sites. The indefatigable MPF has carried on fighting. 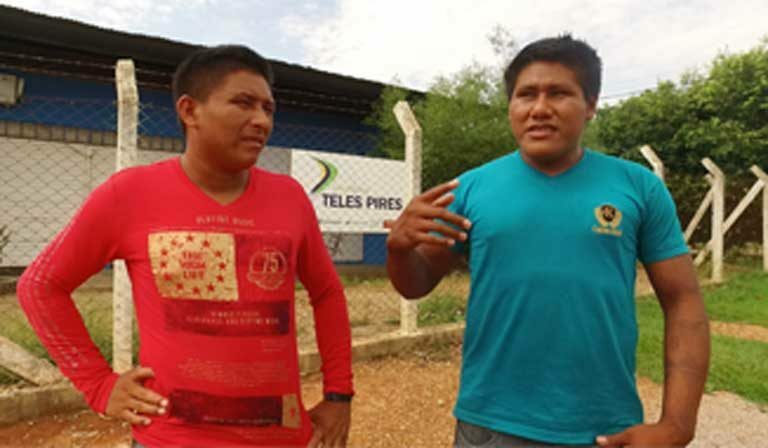 In December, it won another court victory, with a judge ruling that the license for the installation of the Teles Pires dam — granted by the environmental agency, Ibama — was invalid, given the failure to consult the Indians. Once again, however, this court order is likely to be reversed by a higher court using the “Suspension of Security” instrument. Indeed, no judicial decision regarding the dams will likely be respected by the government until the case is judged by the Supreme Federal Tribunal, which will probably take decades. In practical terms, what the Tribunal decides will be irrelevant, for the Teles Pires dam is already operational and the São Manoel dam will come on stream later this year. The Indians are outraged by the lack of respect with which they are being treated. A statement issued jointly by the Munduruku, Kayabi and Apiaká in 2011, and quoted in the book-length report, Ocekadi, asks: “What would the white man say if we built our villages on the top of his buildings, his holy places and his cemeteries?” It is, the Munduruku say, the equivalent of razing St. Peters in Rome to construct a nuclear power plant, or digging up your grandmother’s grave to build a parking lot. 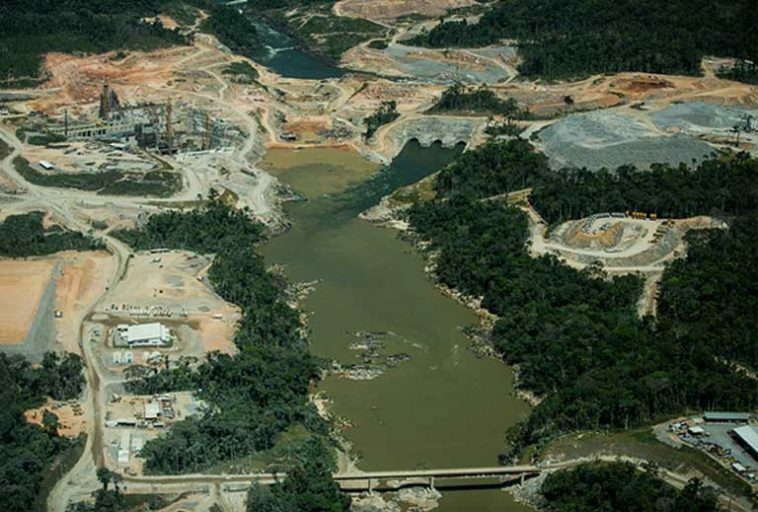 The researcher, Rosamaria Loures, who has been studying the Munduruku’s opposition to the hydroelectric projects, told Mongabay that their experience reveals one of the weaknesses of Brazilian society: “The Nation-State has established a hierarchy of values based on criteria like class, color and ethnic origin. In this categorization, certain groups ‘count less’ and can be simply crushed,” she explains. Ao menos 40 grandes hidrelétricas estão atualmente em construção ou planejamento na bacia amazônica. Em fase de licenciamento ambiental, a usina de São Luiz do Tapajós é a maior delas e considerada uma prioridade pelo governo. A construção da usina foi tema de uma assembleia entre povos indígenas da região, ONGs, ambientalistas e representantes do governo. A BBC Brasil conversou com Jansen Zuanon, pesquisador titular do Instituto Nacional de Pesquisas da Amazônia (Inpa) presente na reunião, sobre os possíveis impactos desta e outras obras do tipo sobre o meio ambiente. A Justiça Federal de Itaituba confirmou em sentença que o governo federal está proibido de licenciar a usina São Luiz do Tapajós sem antes realizar a consulta prévia, livre e informada conforme prevista na Convenção 169 da Organização Internacional do Trabalho, que tem força de lei no Brasil. A sentença, do juiz Ilan Presser, confirma decisões anteriores no mesmo processo, inclusive uma suspensão de segurança do Superior Tribunal de Justiça. Todas determinam que a consulta seja realizada, tanto com povos indígenas quanto com ribeirinhos, antes da emissão de qualquer licença ao empreendimento. “Não se pode ignorar a assertiva de que a vontade da Convenção 169 da OIT, e do artigo 231 da Constituição é de, a partir do exercício do direito de consulta, seja permitida a preservação e fomento do multiculturalismo; e não a produção de um assimilacionismo e integracionismo, de matriz colonialista, impostos pela vontade da cultura dominante em detrimento dos modos de criar, fazer e viver dos povos indígenas, que corre o grave risco de culminar em um etnocídio”, diz a sentença judicial. A decisão cita jurisprudência nacional e internacional sobre o direito à consulta e alerta para o risco do Brasil ser condenado na Corte Interamericana de Direitos Humanos, como já ocorreu com Suriname, Paraguai e Equador, por permitirem a instalação de empreendimentos para extração de recursos em terras de populações tradicionais sem a devida consulta prévia. Durante o processo judicial foram feitas manifestações pelos réus – Eletrobrás, Eletronorte, Aneel e Ibama – que indicam, de acordo com a sentença judicial, falta de conhecimento sobre as comunidades indígenas e tradicionais que habitam a região e serão afetadas pelos empreendimentos. Em suas manifestações, os entes do governo brasileiro tentam sustentar a tese de que não há impacto sobre populações indígenas e tradicionais porque não há terras indígenas demarcadas na área de impacto direto do empreendimento. “Não se verifica adequada e razoável a alegação de que não existe influência do empreendimento em áreas demarcadas, até porque, como visto acima, existe indicativo de que as terras indígenas Andirá-Marau, Praia do Mangue, Praia do Índio e Pimental, KM 43 e São Luiz do Tapajós serão afetadas, algumas das quais já demarcadas, como a Praia do Índio e Praia do Mangue”, refuta o juiz federal na sentença. A sentença menciona a situação da terra indígena Sawré Muybu, dos índios Munduruku, que teria parte significativa de seu território alagada pela usina e é objeto de outro processo judicial, em que o governo tenta protelar a demarcação – já em fase avançada – com o objetivo não declarado de facilitar o licenciamento da usina. Os argumentos do governo nos dois processos são complementares e auto-explicativos. No processo sobre a terra indígena, a Fundação Nacional do Índio alega que não há prioridade na demarcação. No processo sobre a usina que vai afetar a terra indígena, é a vez da Eletrobrás e da Aneel alegarem que sem demarcação, não cabe consulta prévia. “Não resta outra conclusão possível senão a de que é irresponsável e inconstitucional se fazer vistas grossas a um possível e grave fato consumado de destruição sociocultural. Assim como em Vidas Secas, de Graciliano Ramos, a cachorra Baleia sonhava, de forma inatingível, com seus preás, não se pode permitir que os povos indígenas, futuramente, ao recordar de seu passado, sonhem com um presente que já lhes seja impossível desfrutar. Não se podem relegar aos livros de História os elementos socioculturais de grupos só porque possuem modos de criar, fazer e viver diversos da cultura prevalente”, conclui a sentença. O Ministério Público Federal, autor da ação sobre a consulta dos povos afetados pela usina São Luiz do Tapajós, também solicitou à Justiça que obrigasse estudos mais amplos sobre os impactos, levando-se em consideração que, apesar do licenciamento ser feito para cada empreendimento, o projeto do governo é para pelo menos cinco barragens no rio Tapajós e os impactos conjuntos ou sinérgicos sobre a bacia hidrográfica deveriam ser melhor avaliados. Para isso, o MPF pediu a obrigação de fazer dois estudos – Avaliação Ambiental Integrada e Avaliação Ambiental Estratégica, ambos previstos na legislação ambiental brasileira. A sentença obriga o país a realizar um deles e não reconhece a necessidade do segundo. No processo, o governo tentou se esquivar da necessidade das avaliações apresentando o conceito de usina-plataforma, que supostamente seria aplicado no Tapajós. Na sentença, o juiz considera que falta comprovação suficiente da eficácia desse modelo e que a Avaliação Ambiental Integrada é tanto mais necessária pelo fato das usinas do Tapajós afetarem um mosaico de áreas especialmente protegidas onde se localizam terras indígenas, de comunidades tradicionais e unidades de conservação, seja de uso integral, seja de uso sustentável.